THE dry spell drags on in Coffs Harbour with virtually no rainfall recorded in over a month. Since July 7 there have been only two days where rain was recorded and each time it was a mere 0.2mm. These falls were recorded on July 13 and August 3 as per the Bureau of Meteorology's records for Coffs Harbour. In Bellingen, river levels have dropped to such a point that Level 1 water restrictions have been introduced. This is one month earlier than last year due to the Bellinger and Bielsdown Rivers reaching levels which cannot sustain current water usage. The Bellinger River has reached a flow rate of just 45ML a day which is even more concerning given the NSW Rural Fire Service brought forward the Bush Fire Danger Period to August 17 meaning that anyone wishing to light a fire in the open will require a permit. Under Level 1 Water restrictions residents receiving a town water supply can use micro-sprays and drippers (sub-surface) for a maximum of 15 minutes and hand held hoses can be used for 1 hour every second day, between the hours of 4pm and 9am on odd or even days matching house numbering system. Other irrigation and unattended hoses are banned. Permanent water conservation measures, including a ban on sprinklers and fixed/unattended hoses between 9am and 4pm, have been in place in the Coffs Harbour Local Government Area since June 19, 2004. 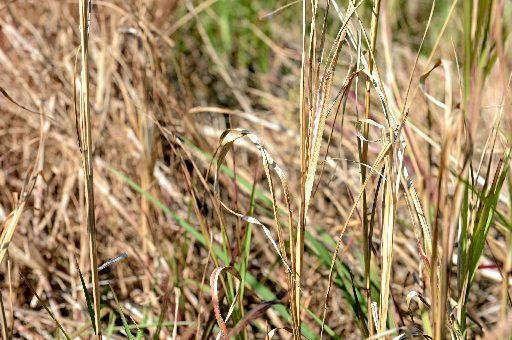 Nationally, it was the driest July since 2002 and below average for most of southern Australia and the entire state of NSW has been drought declared after a drier-than-expected June and July. Coffs Harbour City Councillor John Arkan would like to see the issue on the agenda at the 2018 Annual Conference of Local Government NSW. He would like the association to consider developing a policy and associated relief package designed to support drought stricken farmers.